The tutorial instructions uses a copy of Retrospect – a HTML5, responsive website template from Templated.co - https://templated.co/retrospect or, if you prefer, you can use your own flat HTML files. 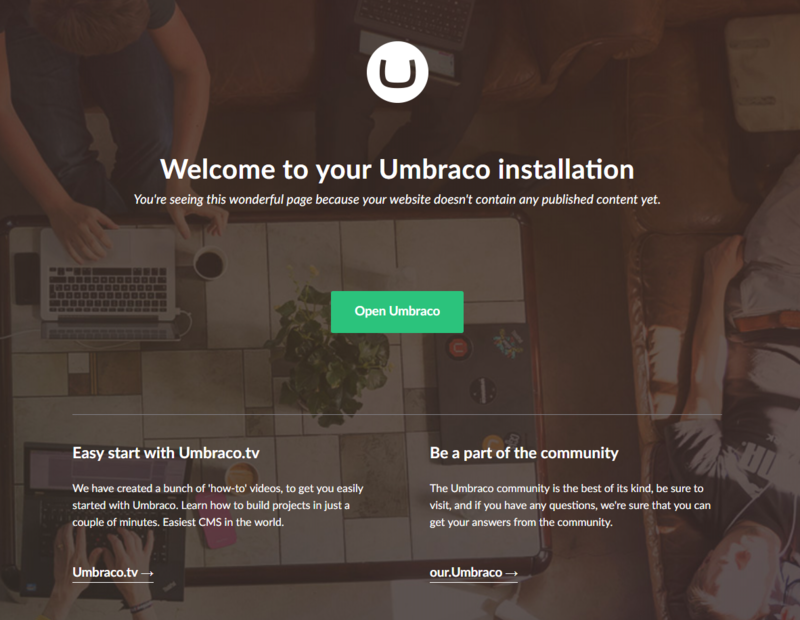 This guide doesn’t cover the installation of Umbraco – follow the instructions in the Installation article. When you hit your local host address (http://localhost or whatever you’ve set up) you should see the Umbraco empty page screen. 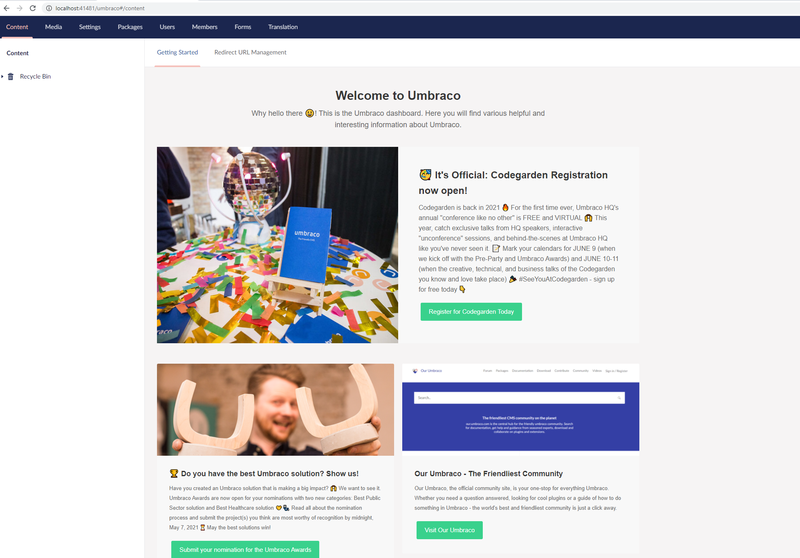 You need to reinstall Umbraco if you can see the starter kit – if you did a manual install you can delete all files in the directory where your local host is being served from, copy the Umbraco zip contents back in and then hit localhost in your browser. Now unzip the Retrospect contents to a folder onto your desktop (or a place of your choosing). Now open the index.html from this directory in your preferred browser to see the template – you can see it’s full of lovely filler text with dummy links. We’re going to turn this into a fully fledged, Umbraco-powered site! Log into your Umbraco installation (e.g. go to http://localhost/umbraco in your browser). 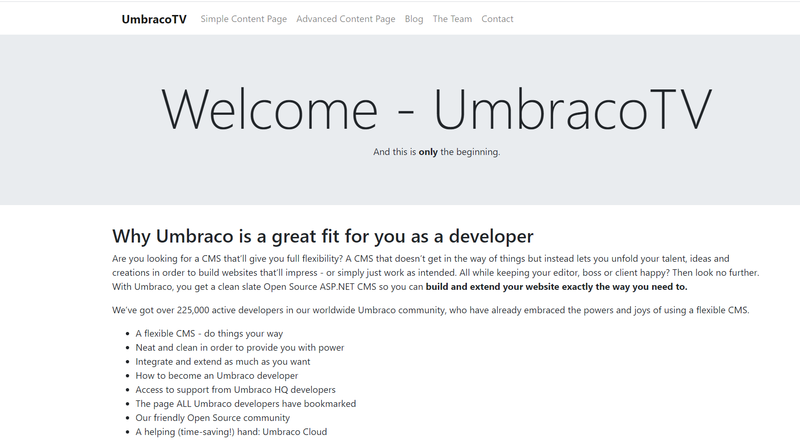 You should be faced with an empty Umbraco installation – but where to start!? How to create Document Types and what they do.